A story planning app for writers: build worlds, develop your characters and create story beats. Whether you’re a planner or a pantser, you’ll find everything you need to plan, write, and finish your novel in one simple, intuitive tool. Build your outline as you pants your draft or plan your whole story before you start writing. Keep detailed images, blueprints, maps, and descriptions of your world at your fingertips. Maintain characters, locations, and detailed research for your entire series. Keep all the information, images, timeline details, and links together in one easy-to-reference place. StoryShop comes with story templates, Character DNA questions and plans for dozens more features in the works. StoryShop was added by hayleyish in Jun 2017 and the latest update was made in Jun 2017. The list of alternatives was updated Dec 2018 There is a history of all activites on StoryShop in our Activity Log. It's possible to update the information on StoryShop or report it as discontinued, duplicated or spam. A Multilingual word processor that lets you paste images, objects and make tables. Alternatives to StoryShop for Web, Mac, Windows, iPad, iPhone and more. Filter by license to discover only free or Open Source alternatives. This list contains a total of 11 apps similar to StoryShop. No reviews yet for StoryShop, want to be first? 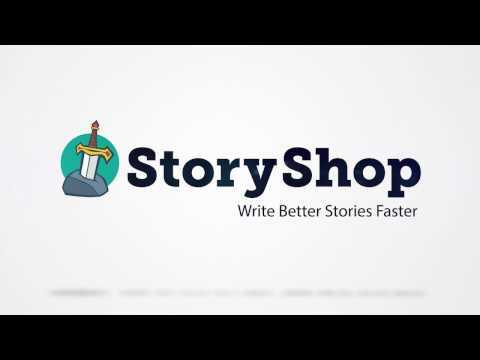 Maybe you want to be the first to submit a comment about StoryShop? Just click the button up to your right!